ISO Consulting-Training to supercharge & integrate ISO with C3 for a Quality Management System that exceeds the Standards. ISO consulting and training, integration, gap analysis, implementation, upgrades, and internal audits. We will customize an approach specifically to address you needs. Strategic ISO Advisor, C3 Excellence, Inc.
We are honored to have one of the top experts in Quality at C3 Excellence. Bruce Laviolette is a 21st century Renaissance Man. His career encompasses a vast range of experience, knowledge, skills, and expertise that is hard to match. His success in guiding organizations to achieve significant improvement in overall performance is characterized by his dynamic and entertaining consulting style. Bruce’s ability to analyze quickly and move fast has garnered enthusiasm from all of his clients. It has left the unsuspecting breathless from the speed in which change is implemented. Bruce is quick to note Henry Ford’s observation that, “If you always do what you’ve always done, you’ll always get what you’ve always got.” When implementing new systems or practices, Bruce is skilled at engaging cooperation at every level, generating a positive environment that welcomes the change. His curiosity about new businesses and his passion for mentoring and partnering with his clients applies to all, whether they are large or small businesses. Their success is his success. Bruce’s philosophy acknowledges that the positive impact of a well-run, successful organization affects customers, the corporate culture, the entire work staff and also the community at large. Bruce has helped companies to achieve measurable results through the implementation of ISO standards, and education in leadership and other quality processes. For example, a company no longer needs to lay off employees due to slowdowns or seasonal fluctuations and in fact increases productivity by 100 percent. The productivity of a separate company increases 35% within the first three months through Bruce’s guidance. 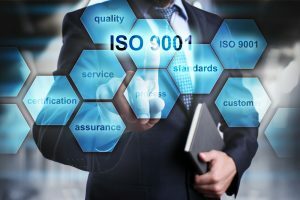 Another company achieves ISO registration at their main headquarters, and moves on to seek ISO registration in their affiliates because of the significant improvements that were experienced through the process of implementing ISO. These achievements translate directly to stability, customer satisfaction, profit and growth. Dr. Laviolette holds numerous undergraduate and graduate degrees. He attended Maine Maritime Academy, the University of New Hampshire, the University of the State of New York, George Washington University, Brigham Young University, University of Virginia (Darden), George Washington University, and others where he studied marine, operations, and electrical engineering, education, sociology, sciences, management, and business. He holds an MS in Human Resource Management from Golden Gate University and a Ph.D. in the disciplines of Management and Operations Engineering from the Union Institute. Dr. Laviolette had the unique opportunity to work closely with the acclaimed 20th-century leaders in Quality. He interned for three years under Dr. Edwards Deming while earning his Ph.D. Additionally, he studied under the personal tutelage of Philip Crosby, Drs. Peter Fenner, Michael Quinn Patton, Joseph Juran, Peter Drucker, and Russell Ackoff. Dr. Deming, Dr. Fenner, and Dr. Patton were members of his doctoral committee. Bruce was one of three awardees internationally, including the President of Lufthansa, and the Head of the Japanese Aerospace Agency, to receive the prestigious Aviation Week Overhaul and Maintenance Magazine Award for outstanding achievement in the aerospace industry. He was also awarded the Aviation Week & Space Technology Magazine Laurel Award for achievements and impact on the aerospace industry. He is listed in numerous versions of Who’s Who and received numerous awards for his work as a supporting civilian in the military services. Dr. Laviolette’s career experience includes work in research and manufacturing industries, politics, government, Department of Defense, education, general construction, aerospace, ships, submarines, electrical construction, SCUBA, and nuclear reactors. Dr. Laviolette is credited with bringing ISO9001 to the Department of Defense and has pioneered the implementation of ISO9001, ISO14001, AS9100, and OHSAS18001 within the federal government. He considers it an honor to have had the opportunity to lead the first in the world integration implementation of all four standards. For Bruce, the most exciting aspect of achieving these coveted registrations is the resulting organizational change and significant and acclaimed improvement in services to the federal government, defense industry, and the military. Bruce is also the architect for the installation of a tooling management computer system, to manage the tooling assets of the entire DOD worldwide, accounting for nearly a billion dollars in assets. Within the scope of dove-tailing with other systems, Bruce has worked with JIT, Lean, Six-Sigma, TQM, TOC, MRP II, Customer-Centered Culture, Balanced Scorecard, QFD, the Malcolm Baldridge Award, change management, strategic and advanced planning, production control, quality control, operations, and logistics. Dr. Laviolette is retired from the federal government and continues to consult actively. He also teaches at six different universities (undergraduate through Ph.D. level courses) in quality, operations, management, leadership, and ISO Standards. Bruce enjoys studying leadership problems, by analyzing real-life events such as the Mount Everest expeditions chronicled by filmmaker David Breashears in 1996, the offshore oil platform disaster associated with the Brazilian oil giant Petrobras in 2001, the Deepwater Horizon oil spill in 2010 and more. He is always alert to opportunities for improvement in safety, quality, and environmental impact through the promotion of effective leadership. Bruce has lived in many parts of the country, Guantanamo Bay Cuba for eleven years and now resides in New Bern, NC. He enjoys reading, travel, college football, history, family events, ballroom dance, oceanography, teaching and consulting. He has been licensed as a master electrician, a master contractor, a master SCUBA instructor, aircraft pilot, game warden and ballroom dance instructor. His community involvement has included Eagle Scout, work as Chief Steward with a 9,000 member union, Masonic activities, and various charitable organizations. To read Bruce's article on how C3 benefits a ISO implementation, click here!